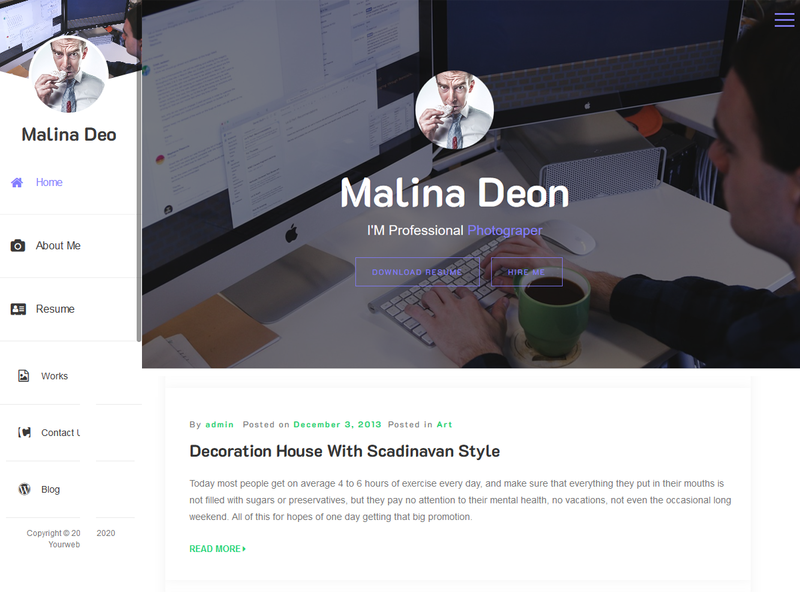 Online CV Resume is a Modern, Minimal & Creative WordPress theme for online resume, cv, or a personal website. This beautiful online resume template comes with a built-in portfolio type . Online-CV-Resume is suitable for designer, developer, freelancer, photographer, architects, Artists and many more individual who want to showcase his/her work. It is a high performance template it’s help to load your website fast and it’s fully optimize and clean code help search engine to optimize website. It comes with pre-defined sections for skills, education, work experience, etc. All theme options can be easily set up using live theme customizer. It’s 100% responsive that’s why it will work nicely on all smart devices( smart phones, tablet, PCs and desktops ). It’s also well documented and clean coded that’s why anyone can change it easily. 1. In your admin panel, go to Appearance > Themes and click the Add New button. 2. Click Upload and Choose File, then select the theme’s .zip file. Click Install Now. 3. Click Activate to use your new theme right away. License: GPL-2.0 or later license.